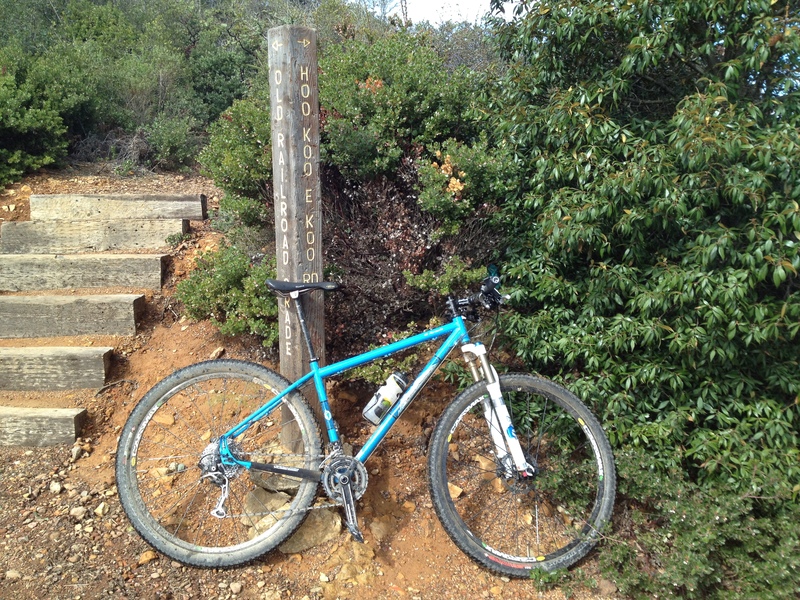 30 kilometers, 1200 meters difference in altitude on legendary trails! This is where Mountain Biking was born in the ’70s. This is where Mountain Biking was born 40 years ago. Technically, the ride was not difficult. But it has some very steep parts and the last 2 miles up to the top are though: “Death cookies” – fist-size rocks that pull your bike in every direction combined with little rivers coming down the mountain (it was raining the day before). But it’s worth it. The views are amazing! 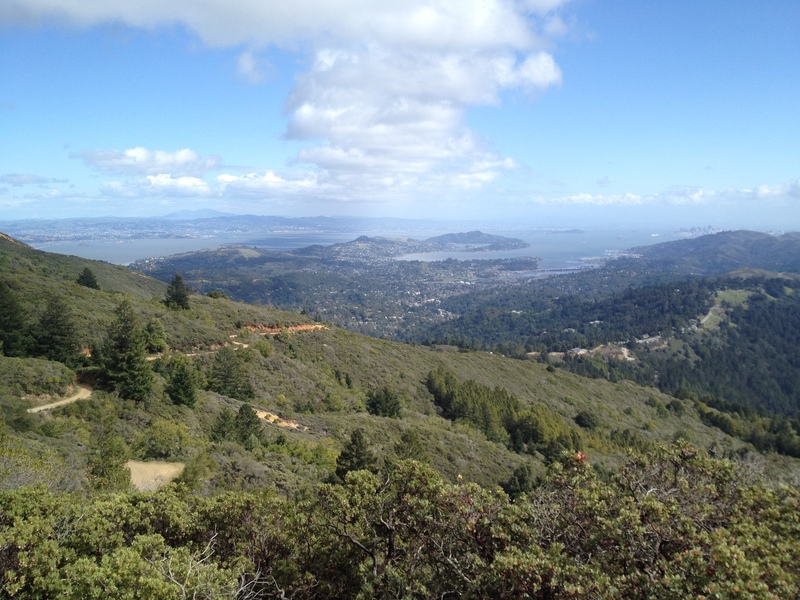 You can see San Francisco, the North part of the bay and the Ocean…really spectacular on a clear day like today.